We just received a shipment of cycling cleats from Speedplay that are made to handle alot more than just cycling. 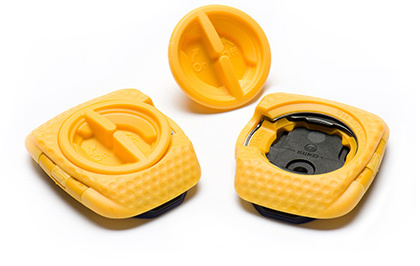 These have a protective cover over the metal cleat and a center plug that will keep mud, dirt, and debris out of the retention ring. A new riding season means a new set of cleats to replace the noticeably sad ones under your shoes right now. We have the Aero Walkable Cleats as well at the Ultra Light Action Walkable Cleats so swing in today and we’ll get you setup and make your shoes happy again!